Need Some Dissertation Help? We’ve Got You Covered! If you have not used EvoEssay.com as an undergraduate or graduate student, then you are probably not fully versed on the nature of our writing services and how we are able to help someone who is in the throes of his/her Ph.D. Dissertation project. 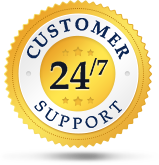 So, we want to let you know that we have the ability to provide you with any kind of assistance right now. You may be frustrated; you may be dreading deadlines that you have set with your advisor; you may have reached a hurdle that you cannot clear; you may just be genuinely exhausted. Of course, you already know this, we hope. There are still some pretty awful writing services that will tell doctoral candidates that they can produce an entire dissertation, from start to finish, without any involvement of the student at all. They claim that all the student must do is submit a topic and that they will do the rest. Simply by making such a claim, they demonstrate their complete ignorance of dissertation production. Buying dissertations online is just not something doctoral candidates would ever be able to do! EvoEssay Offers dissertation writing help that is customized to each individual need and is usually provided in progressive stages, based upon specific need. So, let us explain our processes and the extent of the services we provide to doctoral candidates. Then, you can decide for yourself if this is the type of professional and personal assistance you could use as you move forward with your dissertation writing. The Proposal: While this seems like such a minor piece, compared to the actual dissertation, the proposal is the first formal writing that will be submitted to your committee, and more proposals are returned for re-write than are accepted first time submitted. If you have not yet written yours or if it has been returned for revision, your consultant can help you produce a proposal that will be approved. The Literature Review Chapter: If you have already written your introduction, your consultant will probably advise that you set it aside for the time being, in favor of completing the rest of the project first. Most advisors will accept this decision but will want to see progress according to the timeline you have established. So, finishing that literature review is the next logical step. Perhaps you have only completed the preliminary research for your proposal; perhaps you are bogged down somewhere in the midst of it. Our dissertation services include a complete review of what you have accomplished so far, locating the research titles that you should use, or full completion of the literature chapter for you. You choose – the options are always yours. Methodology: In your proposal, you provided the committee with a brief explanation of your research design. If it has been approved, it is now time to develop that design further, to create the instruments that will used, and to implement that research as designed. Here, you may need your consultant to provide some dissertation editing, to review what you have constructed and to make suggestions that will, for example, eliminate any potential issues with your experimental and control groups, or refine your instruments that you have eliminated irrelevant items or perhaps add items that you may have overlooked. Because your design and your instruments ultimately determine the validity of your study, you want these to be perfect. The Results: After you have collected your data, it obviously must be organized and analyzed to demonstrate statistical significance. This is perhaps the most difficult chapter to construct and the most common one for which doctoral candidates seek help. We have statisticians on staff that work with consultants to perform the analysis, and, together, they develop the charts, graphs, and other visuals that will provide a clear picture of your data. Your consultant can also assist with the prose section that provides the scholarly explanation with which your committee will be well-pleased. If this is a part of the dissertation service you need, it will be produced exceptionally. Discussion/Conclusion: So, what does your research tell those who are in your field? Have you answered your research question? Have you identified any constraints or nuisance factors that will point to additional research in the future? These are the questions to be answered in your final chapter. Has your study be absolutely perfect? No, because no study is. However, if you have contributed to your field and if you have done so in a truly scholarly manner, then your research has been worthwhile. You have a talented and wise consultant – use him/her to prepare this final chapter so that it demonstrates all that you have accomplished and yet contains enough humility to point out small weaknesses. Introduction: Now it is tie to return to the introduction – the chapter that will almost write itself, because the results are not in. Still, you want it to be compelling and engaging and you can get the dissertation help you need to make it so, if you take your consultant’s suggestions or ask him/her to write an introduction that you can then review. No doctoral candidate should review and edit his/her own dissertation, and no advisor or committee member will do this for you. EvoEssay, however, can provide you with that Ph.D. in your field who can accomplish this task. That individual knows the field, understands your research, and can give you an unemotional objective review of your work. The dissertation editing service will include a thorough study of each chapter, looking at structure, coherency, and style, as well as the validity of your results. Your editor will be able to make considered and expert suggestions for some changes, and you are free to accept or reject them, of course. Your grammar and composition will be reviewed as well, to ensure that the work is perfectly polished before final submission to your committee. Most students ask for editing of each chapter before they submit it to their advisors, so that they get the “green light” to move forward. You Choose – Dissertation Writing Help, Dissertation Editing Services or Both? All writing produced by your consultant will be delivered to you in plenty of time for you to review it and ask for revisions if you are not fully happy. As with all other writing completed by our professionals, content will be reviewed by our quality assurance team and scanned for plagiarism – we have never had an instance of plagiarism, but this step is standard procedure at EvoEssay. No one will ever know from us that you have used our dissertation service. We use the latest technology and review our privacy protection methods on a regular basis. Our system has never been breached, and our relationships with our clients are confidential ones. One Final Thought – Buy Dissertation With us! Lest you feel a bit guilty about using a Ph.D. researcher/writer from EvoEssay, you should know that it is rare indeed that anyone produces a dissertation without some assistance from others. Politicians don’t write their own speeches; prominent individuals do not write their own memoirs; and many researchers do not write their own presentation papers and journal articles. Getting help is not a sign of a limitation or weakness; it is a sign of wisdom.